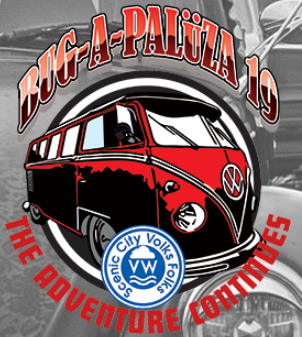 Who is going to Bug-A-Paluza this year? Are you camping or going the hotel route? Jon and I are taking his bug and at this point we intend to tent camp. As many of you know my bus engine finally gave out and it will not be replaced before BAP. We are probably leaving around noon on THURSDAY to drive up and would love to have some company! I'm leaving Friday at lunch and driving the beetle. Steph and Cat will probably be coming along this year. My dad will be there Thurs or Fri with the RV depending on when others will be arriving. He can set up/park where needed to provide a sun awning/grill etc. my tentative plan is to go up with the Thursday group and camp. Posted: Fri Apr 07, 2017 10:34 am Post subject: Have fun ya'll.........BRRRRRRRRRRRR it is chilly!! Hoping you all have a nice weekend at B-A-P 19!! Beware - Gary and his brother Mike are headin up shortly in the Class A.....Be safe you two! Posted: Sun Apr 09, 2017 10:08 pm Post subject: How was it? Great show as always, you should come. A bit windy but great weather nonetheless. Big thanks to Chris and his family for sharing their facilities. Great Show as always it was good to see the y'all will try to make it to more meetings. p.s. made it home ok with the rv.
. p.s. made it home ok with the rv. good! I'm sure it was frustrating having to baby it home.